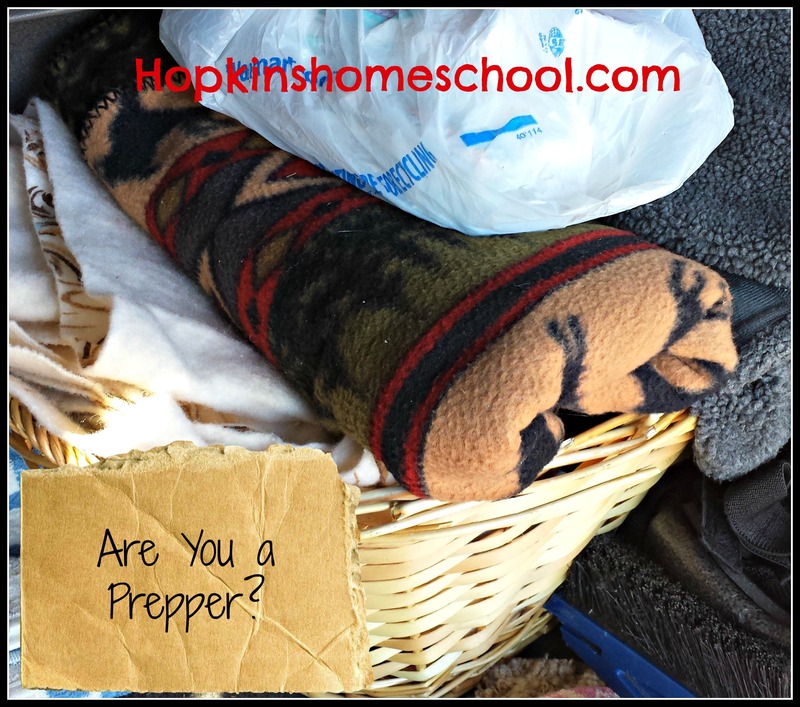 Are you a "prepper"? 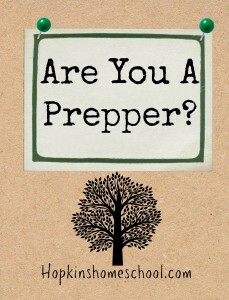 Not a doomsday, the world is going to explode prepper…just a prepper who is prepared for anything that is thrown at you? Someone who has extra food and water in case you get stuck in your house for a few days due to weather, someone who has extra supplies packed away in their car in case they can't get home for a while. Someone who is prepared, not crazy. I was not that person…I am slowly working to become that person…sometimes it takes the fear of God to show you why you need to be prepared. After spending almost 3 hours out of my house, with no way to go back in, and no way to actually leave my neighborhood, I found out that I was in need of many things! But we have some wonderful neighbors who helped by allowing my kids and puppy into their house and feeding my kids. Another neighbor brought me a diaper and some wipes for Little Miss. Simple things you don't think about when you need to get out. After this experience I am taking some tips from my cousin over at Mama Kautz and I am being prepared by prepping. Like I said, nothing crazy like the T.V. show…but enough to feel comfortable in an uncomfortable situation. First things first…mommy needs to hang up her keys on the key rack EVERYTIME she gets home…rushing around to find them when you need to take care of your kids is a no-no. We also have a basket on the step by the front door full of numerous hats and mittens. We did have those, but passed them along to the neighbor kids as they went by us. Oh, and this mommy has filled a basket full of needed items in the vehicles. Yes, that includes diapers! No, these are not the only things I have changed. I have started putting other foods aside, canned foods. I can feed my family for at least three days if I couldn't get out of the house. I would be able to make them things they are used to and like…not food that is new and "weird" to them. And water…man, I have learned that I need to find a good way to keep a water supply handy. This last week has had me thinking of things that can be changed around my house. And I am slowly changing them. This isn't the first time I have had the moment in which I needed to be prepared. Earlier this winter we were out of power, not for long (an hour), but it was enough for me to think about all the things we use our electric for. Or how about the time when my furnace went out on the coldest day of the year? Yeah, I thought about all those blankets I had wanted to give away and was glad that I invested in the vacuum bags and have those handy for in an emergency. 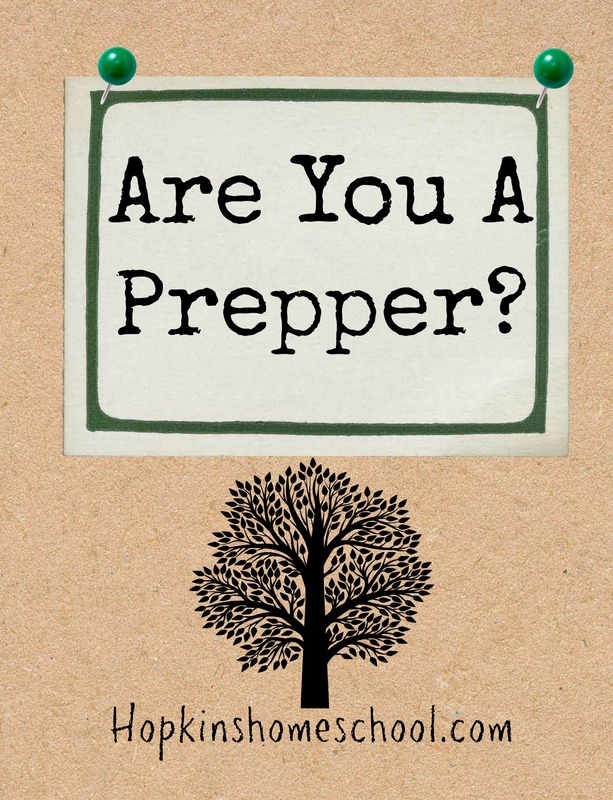 So, are you a prepper? A normal person, prepared for whatever could happen in a month, a week, a day or even in the next hour? I will be trying to write more about this later, but until than, go check out what my cousin has to say at Mama Kautz. That is where I will be learning how to be more prepared! I’m slowly trying to prepare. I have been buying extra canned goods and putting them up. I really need to start my water storage. That is a must. I’ll be checking out your cousins site too. Thanks for the tips. We’ve been doing what most would consider “prepping” for a while now. However, it is so easy to get lax. Just the other day I noticed our van emergency kit sitting on the porch with most of the contents out. It didn’t occur to me then to make it a priority to check the kit and get it back in the car. Thanks for the reminder! I’m working on it gradually. In some areas I think I already have everything but others need a serious approach. I’ll check out the site you suggested. Thanks!